I am writing this because I feel incredibly grateful. 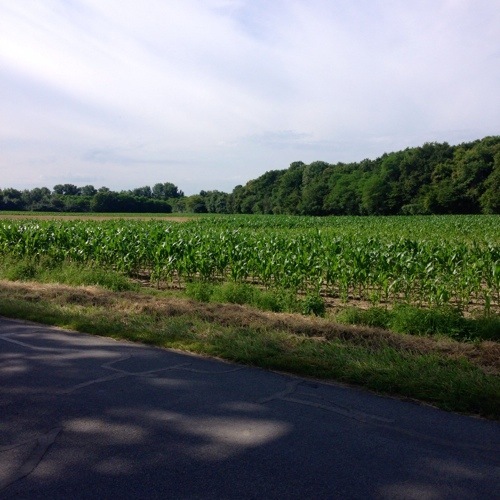 We started our cycling trip in the Loire Valley. The weather has been a bit cool with occasional bursts of sun. We are meandering through episodic small villages and then move to stretches of golden wheat fields, patches of brilliant yellow sunflowers and lush vineyards (see up top). Our guides tell us that the Loire is the breadbasket of France, a fertile region bursting with life. At dinner last night, we tried some wines made in the local area, which I’ve not ever tried before. And, when folks here say “local,” the wines were made down the road. Interesting and different. Our group comprises of five families. We are a diverse group, hailing from Boston, the Bay Area, NYC, S. Carolina and Tennessee. Everyone is getting along well. 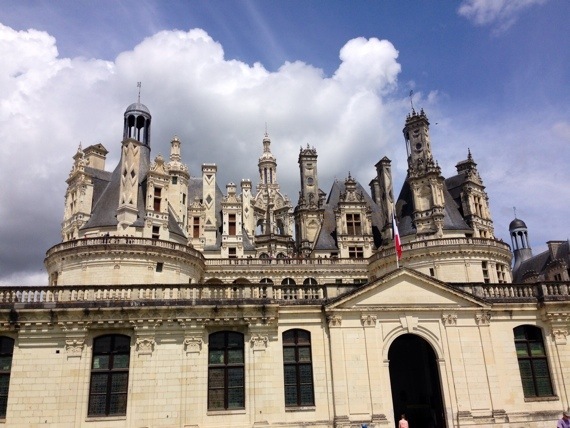 After a morning ride, we visited the Loire’s largest castle. Hard to believe that something from the 16th century still stands. In the afternoon, I opted to bike farther with a subgroup and do about 45 miles today. The children had a fencing lesson. It is fun to see kids from five families all quickly get along and become pals. Tonight, all the children are going out for pizza, and the parents get to eat together. Should be fun. The Loire is beautiful. Making new friendships is awesome. What a memorable day.